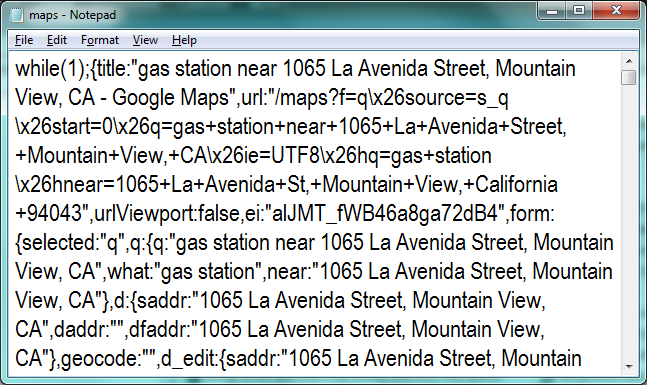 I’m recently working on an Android project which lists the gas stations around your current location (based on the GPS coordinates). The idea was simple, take the GPS values, use Google’s APIs or the Search protocol to get the output as an XML and display the values according to my needs. However, I found out it was not so easy; in order to use Google’s APIs, you have to pay a fee (or you can do it for free, but you will be limited by the number of transactions per day). The search protocol was an option, but you also have to pay for it if you want to get the result as an XML. 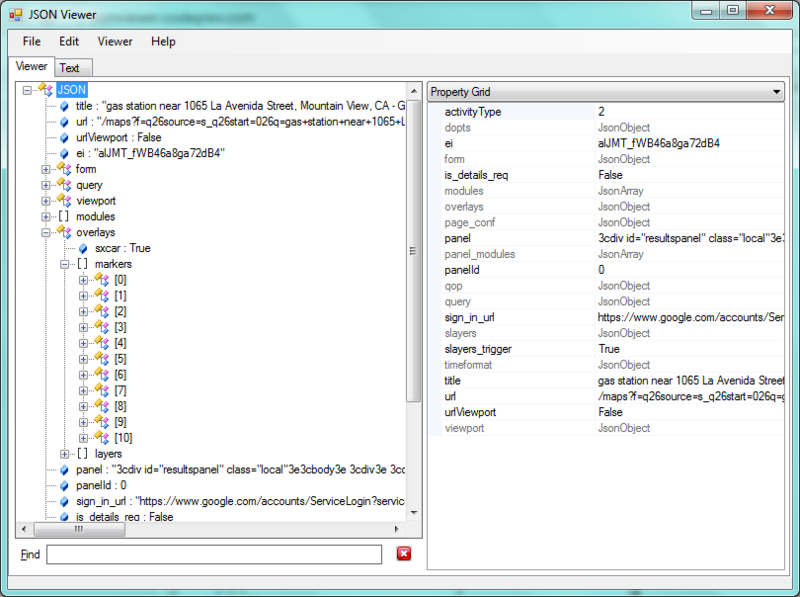 So, I played around with Google’s search parameters and I found out that you can get the output as a JSON string. 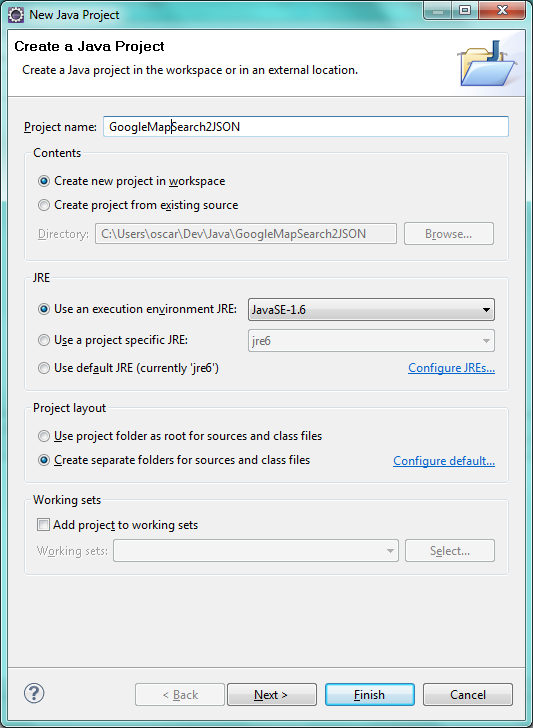 The following document explains how to send your search request to Google, get the JSON response and how to parse it to build a Java object. And each marker object contains all the information related to the place. Like name, address, latitude, longitude, phone number, etc. Basically, what I’m doing here is to trim the input string and change the white space and use the ‘+’ character instead (you should know why). Then, the request is sent and the response is stored in the jsonString variable. And, before returning this value, the while(1); string is removed. I have only covered the values for name, address, latitude and longitude. But you can update this Class according to your needs. 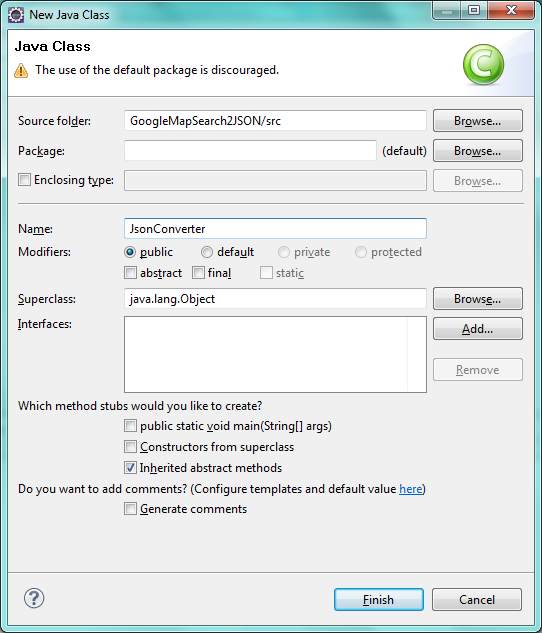 The code will convert the JSON string into a JSON object. Then, it will look for the overlays and markers tag. 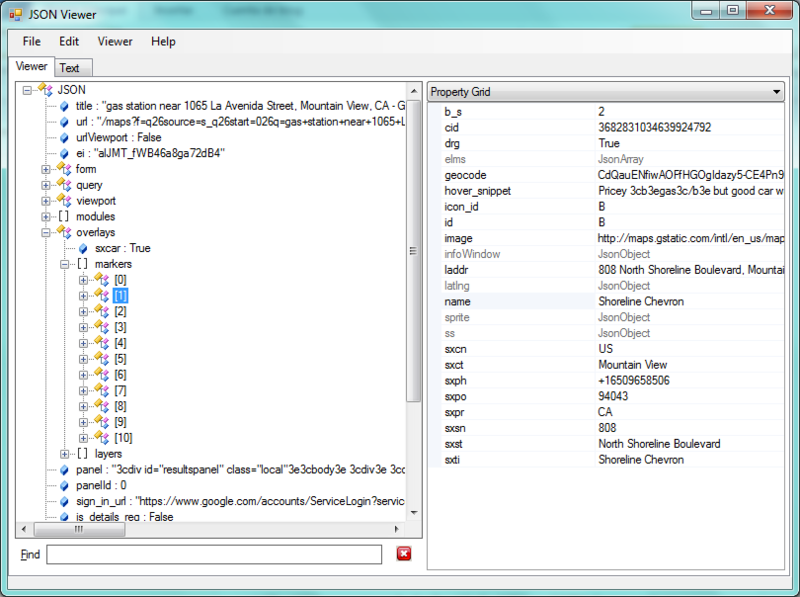 Each time a marker is found, a Marker object will be created and added into the ArrayList. At the end, a collection of Markers will be returned. 1.6) If you want to test the code, run the below Main class. It will submit a request and print the name for all the returned markers. And that’s all! now you can format the search results at your convenience. Keep in mind that the response only covers the first 10 records of your search result, Google maps shows 10 results per page. You can use the same code described in here to fetch ALL the results, but I won’t go through the solution. 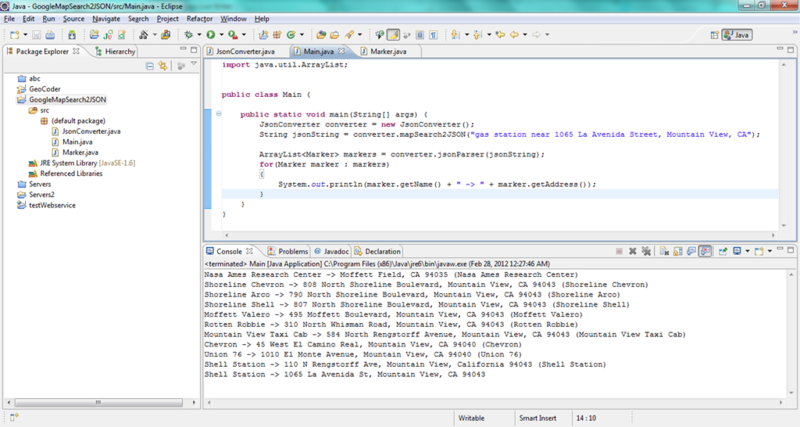 This entry was posted on Monday, February 27th, 2012 at 9:50 pm	and tagged with google maps, java, json, xml and posted in Java. You can follow any responses to this entry through the RSS 2.0 feed.